If this might be the year when you might sell your home, it is never too early to consider how you can maximize what you will receive for it. 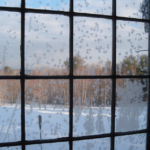 Potential buyers can be turned off by the general appearance of the house. They may also be concerned if it seems to be one which will be expensive to operate in energy terms. 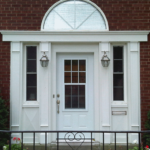 The doors and windows of your home are critical in maximizing the appeal of your home on both of these counts. 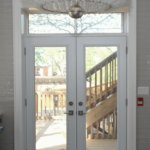 As potential buyers approach your house from the road, what they see will affect how they view all other aspects once they have entered your home. Check for yourself how they might react. Some items are easily fixed. Overgrown bushes and shrubs can be cut back. A coat of paint can do wonders for drab fences or woodwork. However the biggest features affecting that first impression are the appearance of the various doors and windows that are visible. You certainly do not wish to invest money in improvements for which you will not see a return. 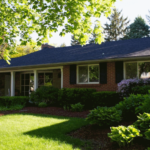 However if you have concerns, a no-obligation discussion with one of our consultants can suggest the renovations that make sense in maximizing what you will receive on the sale of your home. One useful exercise in considering changes you may wish to make in your home for the upcoming sale is to take a house tour. Imagine a potential buyer and how they might wish to wander around the property. Follow the same route and look out for anything that might be a problem. 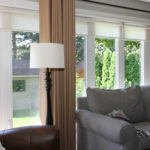 If the house looks dreary or cluttered, simple changes may be possible. Extra lighting or mirrors can brighten up rooms. Leaving extra space by rearranging or removing furniture is another thing to consider. Unless your home is extremely poor in keeping out drafts and avoiding heat leakage, renovations to improve energy conservation will be unlikely to pay for themselves in your intended sale. 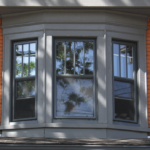 However if you are considering changing doors or windows to improve the appearance, then undoubtedly you will find they offer much improved energy conservation features. This again is something one of our consultants can advise you on. If you are contemplating selling your home, then it is never too early to consider following the steps mentioned above. The more time you give yourself, the less stress and cost you will face. An early no-obligation discussion with one of our consultants is a useful first step to consider.